How much water storage do you really need? Water is a vital element of life that helps hydrate, clean and sanitize. 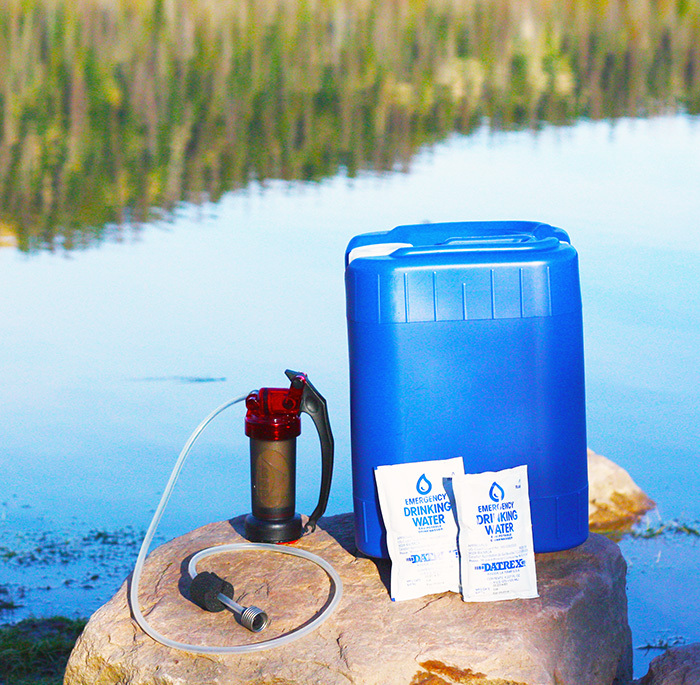 However, most people overlook the need to store clean water at their home in case of an emergency. In fact, in a recent report, the majority of Americans said that they would not have access to clean water if there was an emergency. Drinking. It's recommended that you have 15 gallons of clean water for drinking per person per month. Every day your body loses water through digestion, perspiration and even breathing. In order to keep your body functioning properly, you need to keep yourself hydrated. Depending on how active you are throughout the day, you’ll need between 1/4 and 1 gallon of water just for drinking. Washing. Each person will need about 7 and a half gallons of water storage for washing and hygiene. Water will be essential for cleaning your hands, dishes and possible wounds. Cooking. A serving of freeze-dried food requires between 3/4 to 1 cup of water to rehydrate. Other dishes require even more. In order to cook your food during an emergency, you'll need water storage. It's recommended that you store about 7.5 gallons of water per person per month. When did you last check your water storage? How frequently should your rotate your water storage? The answer to this question really depends on how you store it. If you're using water purifier, then the water should last up to 5 years. However, most water should be checked every year to make sure that there is no algae growth or murkiness to it. Make sure that there isn't any film on the sides of the barrel or discoloration in the water. If you're not sure, it's better safe than sorry and you should refill it. Use this calculator to set reminders on when you should rotate your water storage.